We’ve just received some cool furniture from a restaurant renovation in Annapolis. 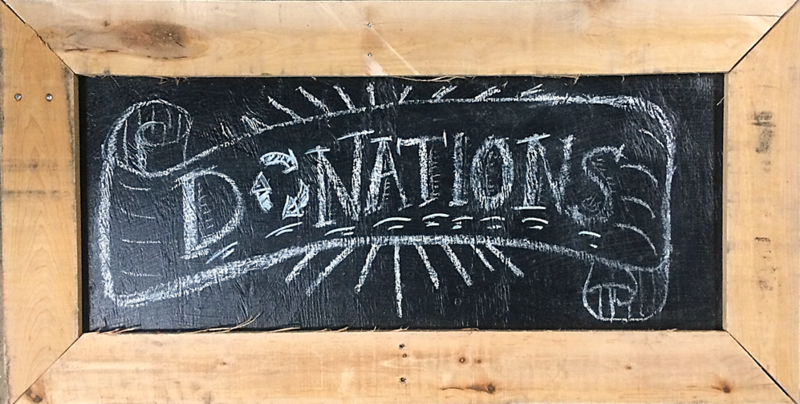 If you’re interested, it’s best to come look at the items yourself..
Nice furniture usually goes quickly – so you can call us, but our Reuse Associates probably won’t know how much we have left in stock (it’s kind of like calling Goodwill to ask how many shirts they have). On weekdays, we’re open 10-6 (and now open till 7 on Wednesdays! ), and we’re here 9-6 on Saturdays and Sundays. If you want to take the items with you, you must arrive at least 30 minutes before closing time so you have enough time to load. So you’ve got to come visit if you’re interested! However, we do offer a free storage service – after you purchase something bulky, you have a week to find a truck, and to round up some friends to help you load. Okay, here are the pictures! We’ve just received a bunch of tables and chairs from a restaurant in Annapolis. 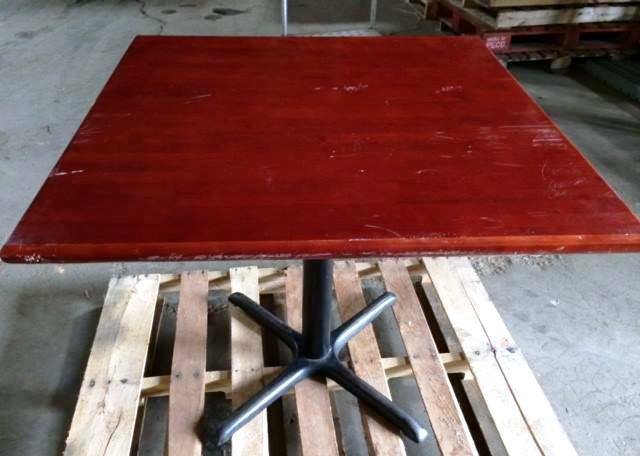 The tables are 36 inch square, with very nice solid butcher block tops stained a dark cherry. The chairs are have very nice lines, with upholstered seats that are easily removed so you can recover them. Tables are $65 each and the chairs are $35 each- come in soon for the best selection.